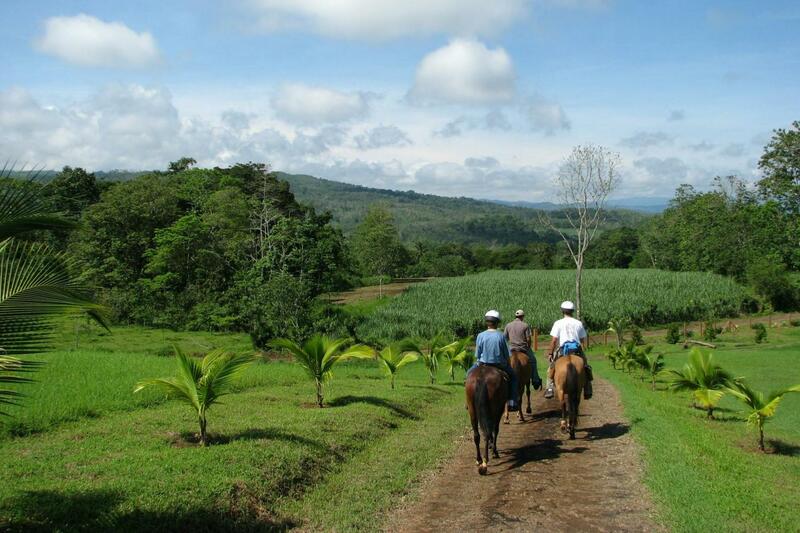 Horseback riding is perhaps one of the best ways to discover the wonders of the rainforest; we have some of the nicest horses and the best views in the area, come and discover nature at its best in our private exclusive 80-acre property. The tour starts at our beautiful Herradura base just 10 minutes from Jaco Beach and Los Suenos area, once you arrive we will get prepared to depart on your journey, to the waterfalls and swimming pools, if you are lucky along the way you will have the opportunity to spot some great wild life such as: Tucans, Scarlet Macaws, White Face Monkeys. Upon arrival to the swimming area we will set up some fresh tropical fruits and water, and you will have some time to hang out and enjoy the waterfalls and natural slide.